Home Skin care Tips To Get Rid Of Oily Face? Tips To Get Rid Of Oily Face? First of all let's know that what basically oily skin is?If you have oily skin, it very often exhibits quite a bit of shine and is potentially prone to pimple occurrence.And oily skin has also typically larger and more visible skin pores. Mainly oily skin is caused by the excessive oil produced from the skin pores.The sebaceous glands of the oily skin type are over active and produce excess oil.Basically these glands lie beneath the skin surface. First we have to know that oily skin needs regular cleansing.Keep it in mind that wash your face twice or thrice a day regularly.Use a gentle soap like glycerin soaps and abstains from scrubbing your skin. Whichever skin care product you mainly use for your skin be careful that they should be oil free whether it is cleansers,moisturizers and makeup. 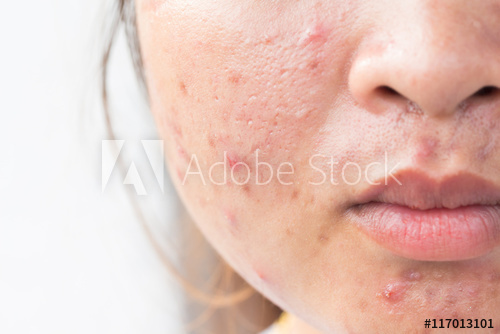 If you really want to control oily skin so you have to choose a strong face wash so as to dry out the skin.And for oily skin you must need gentle,mild face wash.
To control oily skin you have to avoid oil based cleansers because the oil based products are likely to clog skin pores and can worsen oily skin conditions. You have to use moisturizer everyday to maintain the oily skin well hydrated.Choose a moisturizer that is labeled non-comedogenic.This means that it won't clog skin pores. Benefits of olive oil for your face?